An exclusive benefit of joining the CZC. You can download a mobile app for your iPhone or Android device from the Google Play and iPhone app store. The mobile app lets you get all the information you need on the go! Your mobile version of the web page that includes events, meets, photo albums, events, forum discussion, club member directory, polls and more! Use your website membership login name and password on your app- one time and you're in! MODERN Nissan is our premier partner. They host our annual car show 'OCCUPY MODERN' every September and are wonderful dealership to work with in Parts, Service and for new or used vehicles. As a member, you will be given special consideration for membership and a dedicated salesperson if you are in the market. Give them a call, you will not be disappointed! Members receive 10% discount on brakes from G-Loc performance and racing brakes. A long time partner, we recommend G-Loc for all your brake needs. Special consideration for Carolina Z Club Members with Membership Card. Need a WRAP or some vinyl customization? Need some graphics? Contact Chris at Elicit Design Solutions for special pricing for CAROLINA Z CLUB members with Membership Card. Includes being part of a formal community consisting of ~6-7000 "formal" club members and over 100,000 social-media based clubs. 5% off base registration at ZCCA Convention (ZCON). Event Support Program - merchandise stipend (donation) for regional club-organized events. ZCCA has donated over $5k of merchandise to our clubs last year and ~$3k this year thus far. Sponsor assistance, club advice/event guidance and other help related to car show and motorsport events. Insurance through our group insurance policy for non-moving events, moving events (drives...) and track-day insurance. Enjoy 10% discount at Motorsport Auto on all parts for Carolina Z Club Members with Membership Card.! Membership in the Carolina Z Club is more than just discounts for car parts and services, it's being part of a larger community that shares the same passion for the Datsun, Nissan and Infiniti sports cars. Membership runs for one year and expires in January of each year with a 30 day extension for renewals. Membership includes exclusive event opportunities, offers from vendors our own app for staying in touch and keeping up to date for ease of use. Whether you're a seasoned member or just joined, you will find a wealth of knowledge, experience and passion to help you get that part you're looking for, build your dream car or just offer some help with that strange noise you just discovered. Our sponsors and partners allow us to have some great events and opportunities and we couldn't do it without them. Our biggest benefit is access to a group of amazing people that will be there for you. Love cars, love people, love life - Yutaka Katayama "Mr. K"
FREE Shipping on "Z Speed" branded items. Special consideration for Carolina Z Club Members with Membership Card. Enjoy a discount with Z1 Motorsports from their website or in person when you visit! 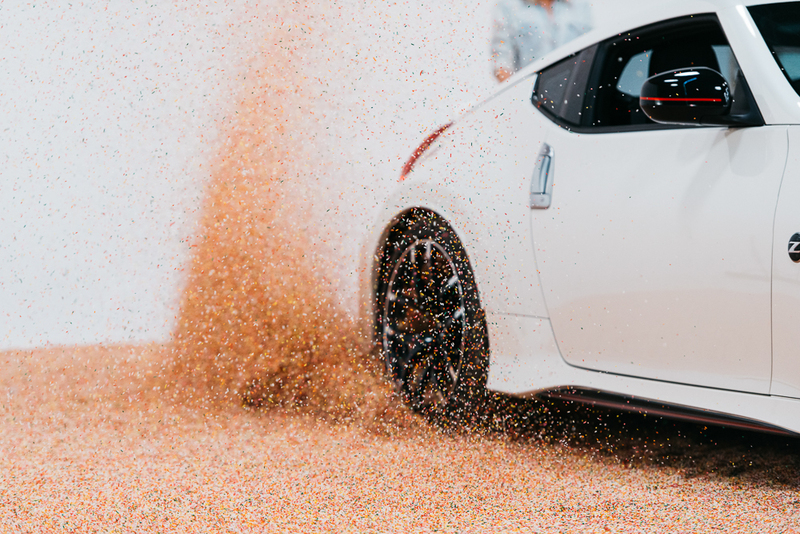 Contact an officer for your Nissan Sprinkles today!